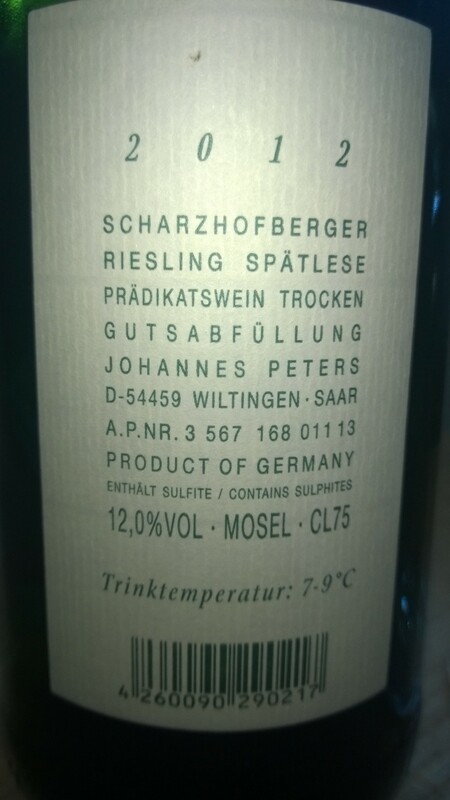 Nevertheless in my long list of descriptions of Riesling I am happy adding this wonderful white wine. Even it is five years younger this vintage is more convincing and – frankly speaking – better. Obviously many professionals say that 2012 was in general a better year. Just as a short summary: Johannes Peters is a dynamic winemaker of the famous winemaking village Wiltingen at the river Saar. 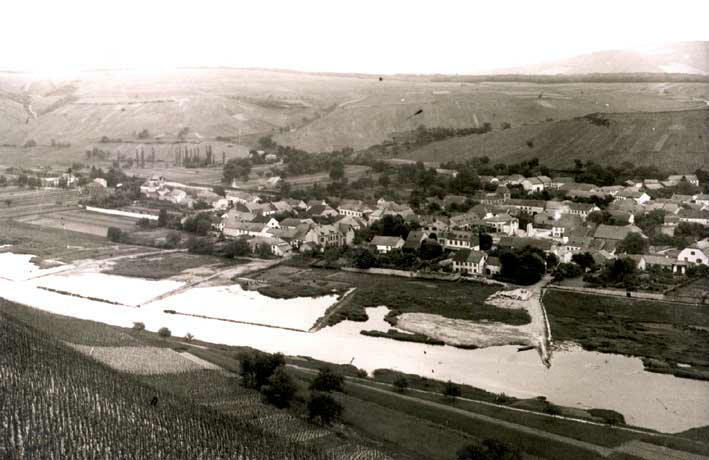 Very close to this there is one of the most famous German vineyards called Scharzhofberg. Also for Peters this is the top wine of him. In comparison to the 2007 it is a bit more exciting due to the variety of different fruity flavors, a little bit reduced petrol but still with a wonderful freshness. If you would risk saying that the 2007 was a little bit flat you could easily say, the 2012 vintage has more volume and power. 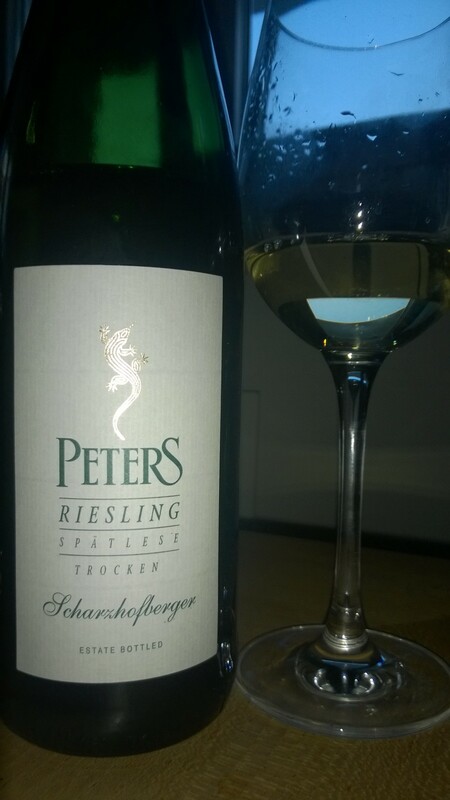 This Riesling is just perfect: very little bubbles, typical dry minerlity of schist with all exotic fruitiness. Not heavy or creamy as some other wines of this area, rather clear. A very honest wine so to say. Wiltingen is full of top vineries, I even would not know any other place of such a concentration of famous names as van Volxem, Weingut von Othegraven, Bischöftliche Weingüter Trier, Egon Müller or von Hövel to name only some of them.